Prof. Nalini Balbir is a Professor in the Department of Indian Studies at the University of Paris-3 Sorbonne-Nouvelle and the Director of Studies in Middle Indian Philology in the School of Advanced Studies in History and Philology at the Sorbonne, Paris, France. Her chief research interests are in Jainism, Sanskrit, Pali, Prakrit, Theravada Buddhism, and Hindi languages and literature of the 20th century. 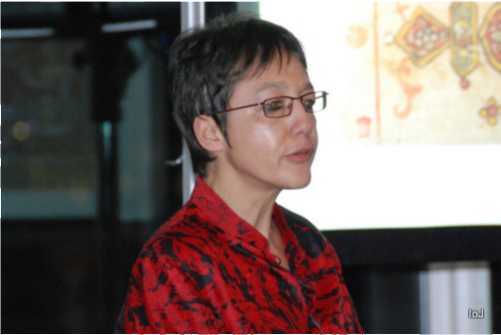 Professor Balbir's current academic responsibilities include the secretary ship of the French Association for Indian Studies and the editorship of the Bulletin of Indian Studies. She is also a member of various academic associations and institutions in France and elsewhere. Professor Balbir, winner of the Ahimsa Award 2010, is the editor-in-chief of JAINpedia. She also undertook the project of Catalogue of the Jain Manuscripts of the British Library including the Victoria and Albert Museum and the British Museum.